Pioneers in the industry, we offer video measuring system, fasteners inspection system, vision inspection solution, video inspection camera, machine vision inspection system and inspection system from India. We are offering Video Measuring System to our clients. We supply end-to-end solutions including pick & place, conveyors, accept/reject mechanism for different machine vision applications. Our solutions are designed using PC-based camera systems or Smart Camera depending on application requirements. We are offering Fasteners Inspection System to our clients. Optical Character Reading (OCR) and Verification (OCV). Barcode, Pharmacode and Data matrix reading. We are offering Vision Inspection Solution to our clients. Vision Inspection Solution with easy to use standard software, are leading the way toward zero defect quality. 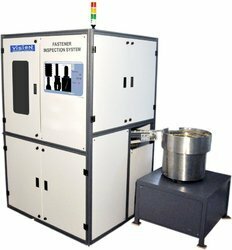 Vision Inspection Solution can be used to inspect Nuts,rods,washer fastener,O-ring,special parts. Optional cameras are available to check for internal threads and surface imperfections. Vision can be added to detect defects like missing internal threads, nylon ring presence, and missing crimp. Vision Inspection Solution allows great detail of I.D. threads and the detection of very small defects like; Chips in threads, weld splatter, a single damaged thread, torn threads, reamed threads, short or missing thread(s). Windows based software makes part setup easy, and allows for part storage and retrieval. We are offering Video Inspection Camera to our clients. Inspection System, with easy to use standard software, are leading the way toward zero defect quality. Inspection System can be used to inspect Nuts,rods,washer fastener,O-ring,special parts. This allows great detail of I.D. threads and the detection of very small defects like; Chips in threads, weld splatter, a single damaged thread, torn threads, reamed threads, short or missing thread(s). 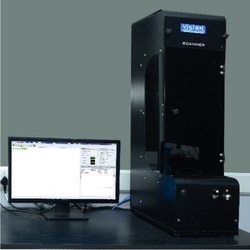 We are offering Optical Measuring Instrument to our clients. AccuVision inspection systems, with easy to use standard software, are leading the way toward zero defect quality. FIS can be used to inspect Nuts, rods, washer fastener, O-ring, special parts. Auto parts Sorting Machine , with easy to use standard software, are leading the way toward zero defect quality. Auto parts Sorting Machine can be used to inspect Nuts,rods,washer fastener,O-ring,special parts. Auto parts Sorting Machine allows great detail of I.D. threads and the detection of very small defects like; Chips in threads, weld splatter, a single damaged thread, torn threads, reamed threads, short or missing thread(s).